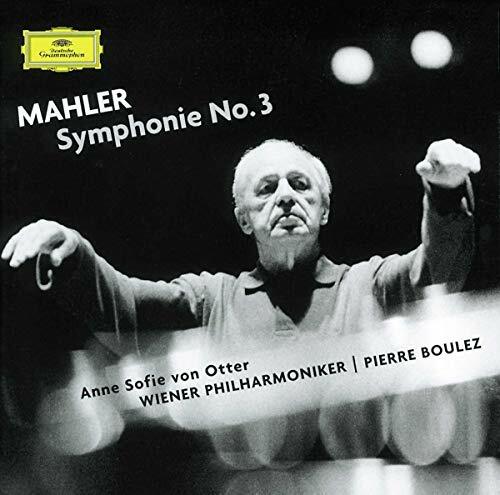 Continued here: "Gustav Mahler — Symphony No.3 (Part 2)"
The Third Symphony, Mahler’s longest, has sublime moments and plenty of them, but it can be difficult to find your way to—and around—it: Its quilt of music is complicated and never just straight forward and clear-cut. It has two large outer movements around four smaller movements—the first movement alone takes over half an hour. In my traversing Mahler, only the Seventh was more stubborn in opening itself up to me. 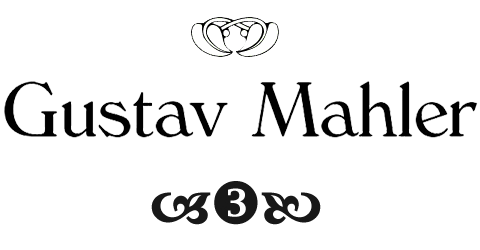 The titles that Mahler originally gave the movements, only to withdraw them later, don’t offer much help. But the fear that knowing these titles might lead to misunderstanding the symphony is no longer given either, so there is no harm in listing them. 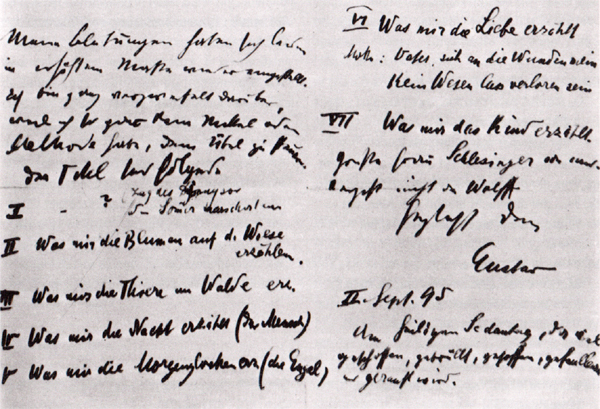 (Mahler originally planned seven movements and there are seven corresponding titles as the letter to Natalie Bauer-Lechner (below the jump) shows. 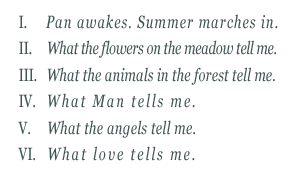 The seventh movement—"Was mir das Kind erzählt" ("What the Child tells me")—would become the finale of the Fourth Symphony. expresses in the Rückert Lied “Ich bin der Welt abhanden gekommen” applies very well here. What did the job of giving me access to this symphony, eventually, was the combined glory of the Vienna Philharmonic, Anne Sofie von Otter (! ), and Pierre Boulez: A recording of stunning clarity, von Otter’s silvery voice ethereally high (almost soprano-like), superb playing and attention paid to every detail. Boulez is lifting the rug for you in this symphony and lets you have a peek at what it is all about. He does the same in the Seventh, too, but with the Third that approach holds up even better to return visits, no matter how well you understand or like the symphony. I found his recording more enchanting and more involving than the much acclaimed Chailly/ Concertgebouw recording with Petra Lang that came out in 2004. 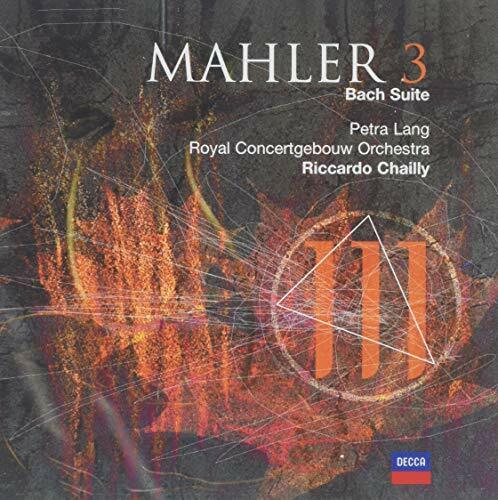 The latter is impressive, as all of Chailly’s Mahler is, for the impeccable playing in a great acoustic in wonderful sound. But Boulez offers that, too, in this case—and counter to the usual and tired stereotypes against the Frenchman, he is not devoid of emotion, even for all his admitted clarity and detailed structure. In my initial review, I have called it haunting and subversive. I’ll stick with that. Only a tiny editing glitch in the third movement ruptures the sense of perfection on this issue. 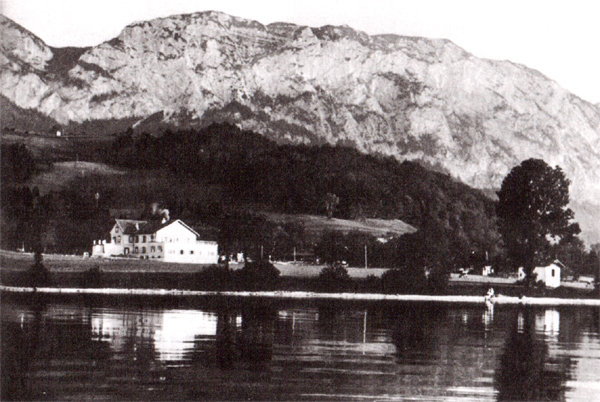 Steinbach am Attersee, where Mahler composed the Third Symphony in the summers of 1895/96. The font used in the title is "Windsor Light"